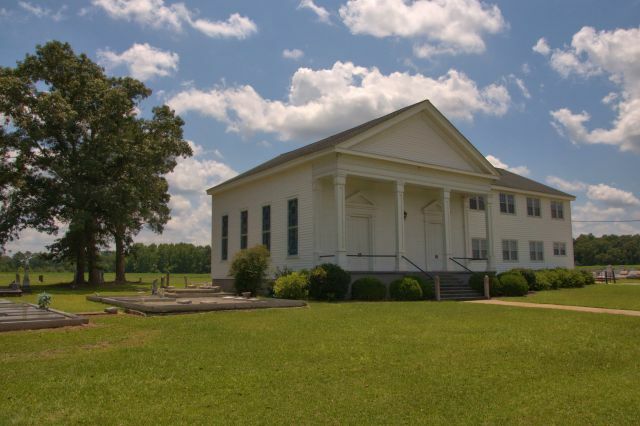 Among Schley County’s most historic congregations, Hopewell Methodist (now United Methodist) is thought to predate the organization of Marion County, which would date it to the 1820s; meetings were probably held in homes and various other places until the first known structure (of log construction) was built in the 1840s. Another church was built before the Civil War but was destroyed by fire. 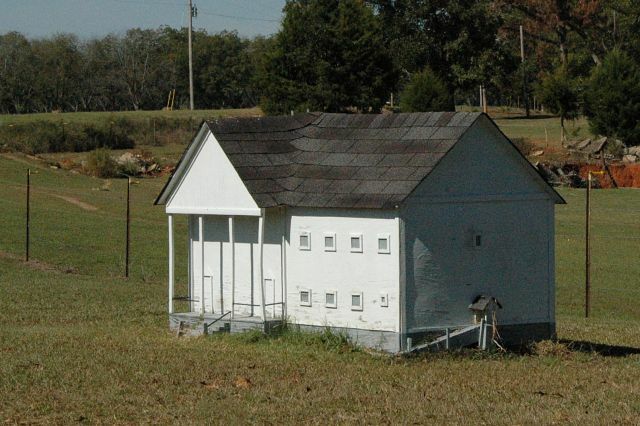 The Greek Revival section of the present structure was built after the Civil War but no exact date can be located. I hope to learn more of the history soon. This iconic commissary/store at the intersection of LaCrosse Road and Georgia Highway 271 served as the center of a large farming operation for many years. Jean Harrison, whose family owns the property today wrote: Gertude Burt Strange grew up at Lacrosse and her family ran the store until about 1947 when my parents bought the farm including the store which was closed and used for farm storage etc. Every time there was an election my Father would clean out the store so people could vote there. 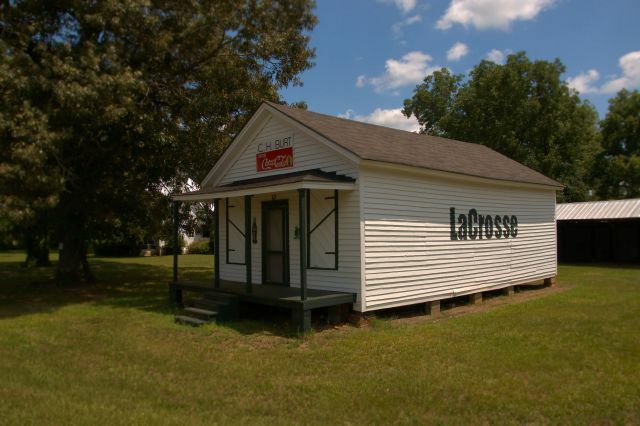 A plantation at LaCrosse was first established by Stinson J. Rees in 1856. The property is beautifully maintained today but please note it’s not open to the public and trespassing is strictly prohibited. 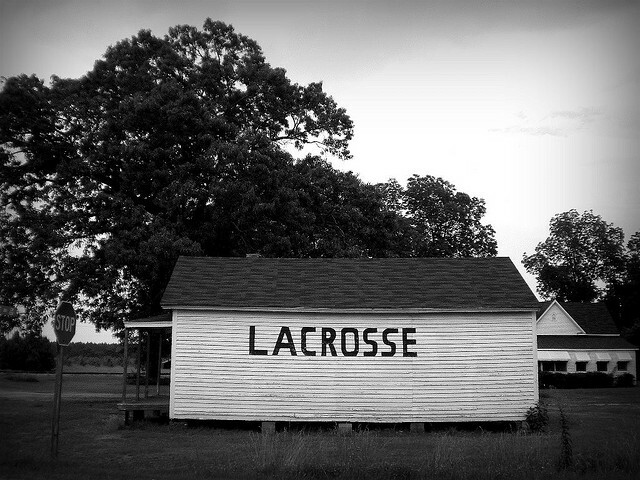 I was interested to see that the LaCrosse name on the side of the building was recently repainted in a different style. Linda Adams, who painted the wonderful murals in Ellaville wrote to say that she repainted the sign, as well as the great Coca-Cola sign on the front of the store. Below is a shot I made in 2009. 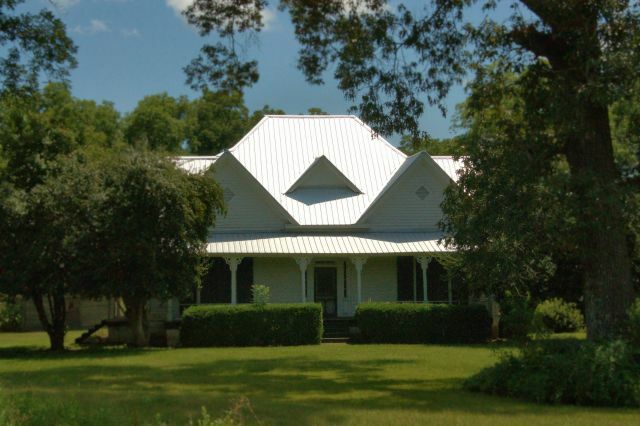 Linda Adams writes: The property belongs Imogene McLendon, a good friend of mine. She is 93 and she and her late husband bought the Burt farm from C.H. and wife in 1947. They subsequently purchased the Bell and Hudson farms and carried on a successful diversified farming operation until Jessie’s retirement in the late 1990’s. They worked as a team in decision making. 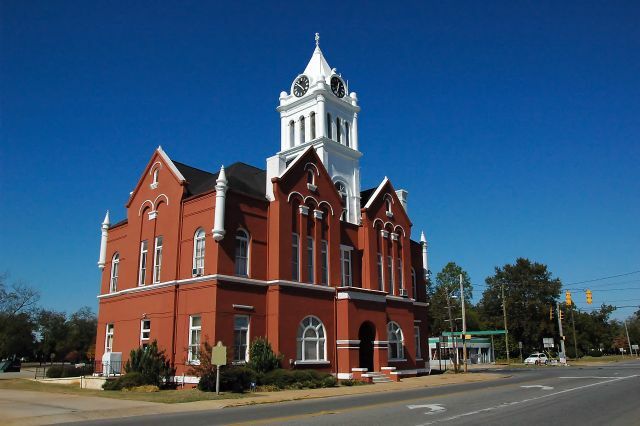 Imogene got elected to the Schley County Commission in the early 1980’s and then was elected by the commissioners to serve as chairman – she served three terms and spent a 40 hour week at the job. Quite a woman. The family will retain the “white house” as they call the Burt house – they recently re-roofed it and will restore the chimneys. Jeanne Harrison notes that this house was built by Gertrude Burt Strange’s grandfather, Mr. Dixon. 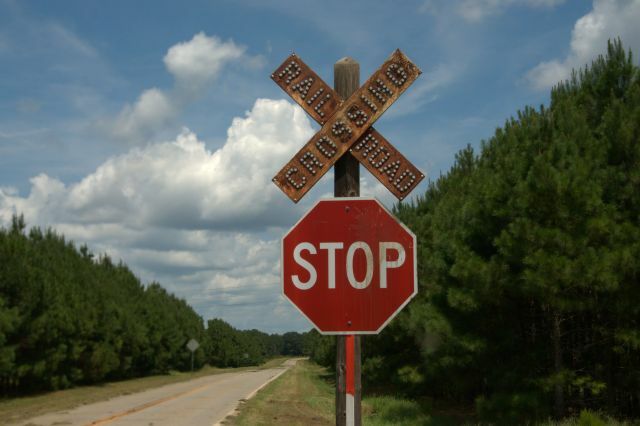 It’s amazing that these old hobnail crossing signs are still in use. Bill Harrison writes: I grew up in Hopewell community. This small scale of the church is actually the pump house for the church and covers it’s well. It was built years after I left but I believe that my brother and some other men built it for a float for something in Ellaville and then used it to cover the well. I am pretty sure that is how it came to be there. I believe this had been removed, as of 2015. This Romanesque Revival landmark was designed by Golucke & Stewart. 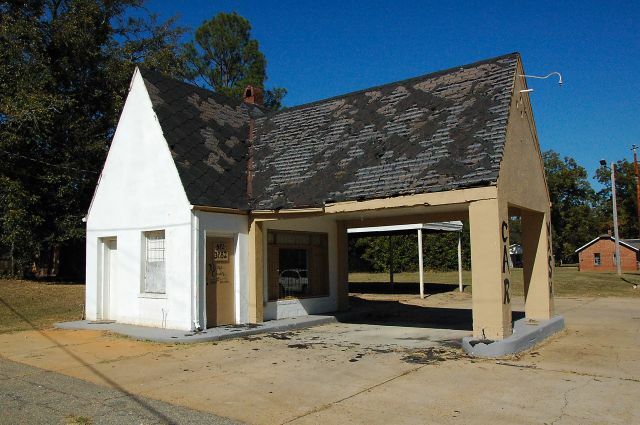 John Battle writes: During the 1940’s this was a Pure Oil service station operated by Mr. Monroe Ellis.